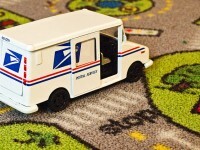 The United States Postal Service like other federal agencies has been trying to move much of its operations into the cloud per the Cloud First initiative instituted by the government several years ago. According to the Office of Inspector General, the USPS hasn’t been able to deliver the cloud in the manner it has proposed. The office found that the USPS was in violation of compliance issues regarding their delivery of IT services.